http://madeinusaforever.com/– I can’t say enough about Todd and his company. When we brought the rubber duck industry back to America he was one of our strongest supporters for which we shall always be deeply grateful! www.reshorenow.org/ – Think it’s too expensive to make your products in the USA? Thank again! Check out this great website where you can find the resources to help make an informed decicsion to make your product in the USA. 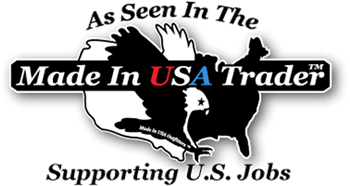 www.MadeInUSAoutfitters.com – If you are a retailer and would like to carry Made In USA products in your store at no upfront cost to you. It’s just another way we’re trying to help U.S. based manufacturers and the retailers that carry their products. www.madeinusaproductsstore.com – a great store in Michigan only carrying products that are made in America including of course our ducks! http://www.buybuyamericanpie.us/– This is a wonderful group that is striving to compile a list of all the great American manufacturers. I so love their name and appreciate their patriotic vision! Founded in Austin, Texas, Belly Ballot is a start up that makes baby naming more social! They did a give-a-way with our our Hatched in the USA SAM duck! Expecting parents can now involve friends and family from all over the world in the baby naming process. Belly Ballot has the most extensive database of baby names, including trending information and pronunciation. Parents can create a ballot with their favorite names and then invite loved ones to anonymously vote on their favorite name! www.themadeinamericamovement.com – All these people want to do is connect folks to companies both large and small who are doing their manufacturing in the USA!